April 4, 2017 – What an incredible week for the Jr. Road Warriors at the National Tournament in Louisville, KY. The Jr. Road Warriors entered the tournament ranked #8 in the country and riding a 9-game winning streak. The team faced a tough team from Chicago to start the tournament and the kids were excited to get things rolling. 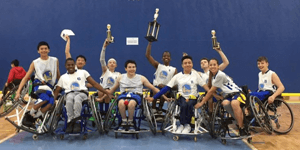 March 8, 2017 – The Bay Area Outreach & Recreation Program’s (BORP) varsity youth wheelchair basketball team—Jr. Road Warriors—has just clinched the West Coast Conference Championship. 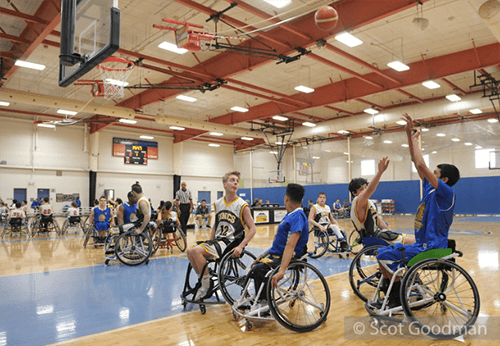 BORP launched its wheelchair basketball program thirty years ago with the clear understanding that kids with physical disabilities need access to competitive sports just as much, if not more, than able-bodied kids. 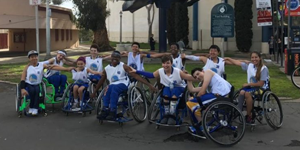 BORP’s wheelchair basketball program has continued to grow throughout the years and is now home to three levels of participation including competitive teams at the Prep (12 years old and under) and Varsity (13 years old through high school graduation) levels. Teams practice on Saturdays at James Kenney Recreation Center in Berkeley, CA. Please visit our calendar as practice times and location are subject to change. 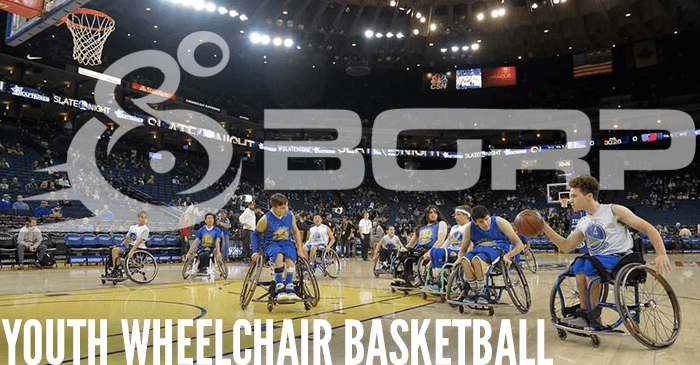 Through the continued support of the Bay Area Sports Hall of Fame, BORP has assembled a small fleet of custom sports wheelchairs for kids to use. A basketball wheelchair is not the same you see everyday. They are the equivalent to a racing bike, or another specialized piece of sports equipment and allow unparalleled mobility on the court. 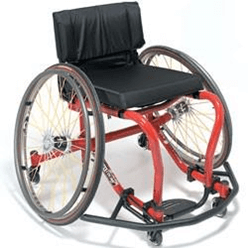 The wheelchairs used for wheelchair basketball are custom sport-specific chairs that are designed to turn faster, have more stability, and are lighter than most chairs. The players are also strapped into the chairs to allow the players the ability to tilt the chairs for rebounds and make the chairs more responsive to body movements. For BORP participants that do not have their own sports chairs, we have them to loan. This ensures that the only thing they need to do to participate is to simply show up.